African elephants have survived for between 5 million to 23 million years – now they may not survive the next two decades. Poaching, habitat loss, poverty, and human conflict have decimated their numbers. According to 2015 CITES figures, fewer than 100,000 forest elephants remain. The 2016 Great Elephant Census, the most comprehensive population count ever, documented only around 352,271 savannah elephants, far less than previously thought. Elephants numbered more than one million around just 40 years ago. In just 5 years, Tanzanian elephant numbers suffered a devastating decline, with some populations suffering losses of 60% in just one year. The removal of individual elephants from a herd, whether by culling or for commercial trade, causes the herd left behind to experience long-term social disturbances. Poachers or trophy hunters, aiming for older elephants’ prized large tusks, impact entire herds. Defenseless juveniles may be left to raise themselves in a societal structure that would normally include the matriarchs’ long-term care and years of memories and experience passed down through generations 3. As keystone species, forest elephants and savannah elephants each play their own particular roles to serve their respective ecosystems. Proposal 14: Delete the annotation to the listing of Namibia’s African elephant population in Appendix II by deleting any reference to Namibia in that annotation. Proposal 15: Delete the annotation to the listing of Zimbabwe’s African elephant population in Appendix II. The African elephant is red Listed as vulnerable and overall in decline on The International Union for Conservation of Nature. Overall population estimates are 22,711 elephants in Namibia and 82,304 elephants in Zimbabwe. 2014 surveys show 40-75% decline since 2001 in key northern Zimbabwe populations. 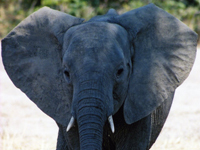 Threats include poaching for ivory trade, trophy hunting, human conflict, and habitat loss. Namibia gross exports 2008-2014: 32 live animals; 690 tusks; 11,255 kg tusks; 387 trophies. Since 2011, 230 Namibian elephants were reported poached, including 37 in 2016 alone (SSN Analysis of proposals). Zimbabwe gross exports 2008-2014: 31 live animals; 2,282 tusks; 39,069 kg tusks; 2,320 trophies. Reported allegations of government ivory stock thefts and irregularities exist. (SSN Analysis of proposals). These proposals would remove all CITES restrictions on the commercial international trade from Namibia and Zimbabwe of publicly-held and privately-held ivory, and would similarly lift current restrictions on the live elephant trade as well. The 40-75% decline in key northern elephant populations, that have been seen in Zimbabwe since 2001, is accompanied by the threat to Namibia’s elephant population, with an increase in the number of poached elephants seen since 2011. Proposal 16: Inclusion of all populations in Appendix I through the transfer from Appendix II to Appendix I of the populations of Botswana, Namibia, South Africa and Zimbabwe. Parties: Benin, Burkina Faso, Central African Republic, Chad, Ethiopia, Kenya, Liberia, Mali, Niger, Nigeria, Senegal, Sri Lanka and Uganda. Poaching for ivory poses an immediate threat, as does habitat destruction, and poaching rates overall exceed the normal growth rate of elephant populations. Wild-source legal exports from range states 2008-2014: 113 live animals; 15,876 tusks; 161,407 kg tusks; 7,551 trophies. In 2011 alone: illegal hunters killed 40,000 elephants. 2010-2012: 100,000 elephants were killed in Africa for their ivory. A significant increase of ivory seizures has been seen since 2008 as shown by the Elephant Trade Information System. Meets the criteria for Appendix I given its stark and projected population decline and its current presence in international trade. This proposal would explicitly prohibit international commercial ivory trade and send a clear message to the world reflecting global determination to halt the potential extinction of this species. The decline in African elephant populations, and the ongoing threat of sustained poaching and illegal ivory trafficking across the continent, clearly warrant the listing of all populations in Appendix I. Parties: Angola, Burkina Faso, Central African Republic, Chad, Côte d’Ivoire, Ethiopia, Gabon, Kenya, Niger and Senegal. Resolution 57.4: Trade In live Elephants: Proposed Revision of Resolution Conf. 10.10 (Rev. CoP 16) On Trade In Live Elephants. Parties: Burkina Faso, Central African Republic, Chad, Kenya, Mali, Niger and Senegal. Domestic ivory markets create opportunities and cover for laundering illegal trade. Closure of markets would simplify enforcement and send a clear message in the fight to protect African elephants from extinction. China, Hong Kong, United States, France and Angola have announced action to close domestic legal ivory markets. Transferring wild populations to captivity under the guise of conservation defies current best practices and logic. Transfer to captivity from the wild “profoundly impairs” the individuals’ survivability, and threatens that of the herd left behind. The individual elephants removed from a herd experience long-term social disturbances, as does the herd left behind.